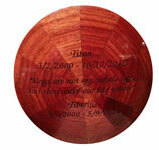 Made from beautiful Padauk wood, the Joy wooden urn features vibrant and harmonious shades of red, brown, and orange. 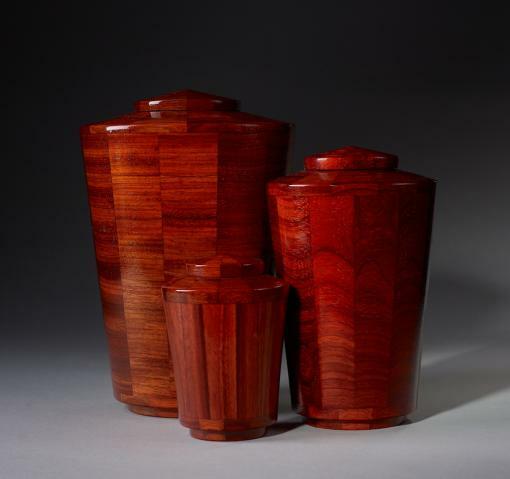 As part of our Eternal Promise Line, the handcrafted Joy cremation urn is intended to be beautiful as well as affordable. 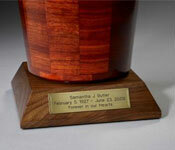 The urns come in multiple sizes�keepsake, small, and large�for pets, children, and adults.